Transferring and commercializing technology from Tennessee universities' R&D campuses is now on the research agenda of Tennessee House of Representatives Speaker Beth Harwell (R-56). The Speaker confirmed for VNC yesterday she has enlisted State Rep. Mark White (R-83) as "point man" to examine how Tennessee might induce in-state universities to drive more technology from campus to private sector, for commercialization. A Memphis source VNC yesterday the Speaker is following-through on a promise she made during a recent business roundtable in Memphis. Harwell said she and White will study the matter and will eventually engage on the topic with stakeholder groups, including the state's Economic and Community Development agency and nonprofit Tennessee Technology Development Corporation (TTDC), among others. ► The Memphis Research Consortium, anticipating funding from Gov. Haslam and the General Assembly, has begun laying-out its action agenda, the CA reports. (A $45MM UT Health Science Center cardiovascular research and commercialization institution is also nearing completion.) Meanwhile, the proposed Capitol City Research Consortium for Nashville, which Tennessee State University is charged by legislation with bringing into being in Nashville, has not yet advanced toward activation, according to a TSU administrator, when queried by VNC. The source made clear the matter has not been dropped. Vanderbilt has not yet committed to participating in the local consortium, said the TSU source. ► Schulz on Strategy: Gov. Bill Haslam and ECD Commissioner Bill Hagerty's plans for a regional emphasis on existing business sits well with Ralph Schulz, CEO of the Nashville Area Chamber of Commerce, who told VNC, "We’re encouraged with Gov. Haslam’s emphasis on job growth strategies, innovation and deregulation. After eight years, the economic environment has changed. A focus on regional job growth makes sense because economies work regionally. Additionally, placing more importance on growing our existing base of business is a tried and true strategy for job creation and economic prosperity that has been a focus of the Chamber’s Partnership economic development initiative for many years.” Related post here. ► DeWitt Rhaly, president of Custom Software Systems in Nashville, introduced his firm's ChartSmart electronic medical record (EMR), with a release this morning. ► New Jobs-1: Morristown regained Customer Software Development Group (CSDG), which had relocated to Atlanta for a decade, after Morristown natives and co-owners Amy and Tim Francis felt "called" to help economically depressed East Tennessee, Amy Francis told VNC. The company's 58-person workforce will grow to 200 or more in 2012, she said. The company serves numerous Fortune 500 firms. Related KNS story. ► New Jobs-2: Shareable Ink CEO Stephen Hau says finding the next 50 software engineers he needs will be a challenge in Nashville, but he's found allies, including Tod Fetherling of NTC and Dean Kenneth Galloway of the VU School of Engineering (VUSE). Shareable's into digital pen and paper. NMN reports. ► Solidus portfolio company Change:Healthcare today announced former CVS/Caremark President Howard McLure has succeeded Christopher Parks as CEO, with Parks moving to chief development officer, according to a release. The early-stage company is a healthcare cost transparency solutions provider. ► The Nelson and Sue Andrews Institute for Civic Leadership at Lipscomb University has quietly been gathering momentum. Visit here. 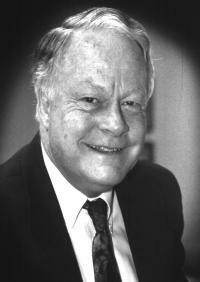 Family man, civic leader, businessman, troubador and raconteur Andrews died in 2009. The Institute announced yesterday that Lydia Lenker, longtime WTVF 5 (CBS) news reporter and press secretary to former Gov. Phil Bredesen, is now its executive in residence. ► Petra Capital portfolio company NuView, which provides HR and payroll software and services, was recently named a Boston Pacesetter, based on its growth. Venture funding and tech transfer were Chattanooga's focus last week. Six capital-seeking startups told their stories to about 20 angel and venture investors, including Chattanooga Renaissance Fund (CRF). Pitching: SecureWaters (Soddy Daisy, detects toxins in water); Mad Gravity (Nashville; YapTap, social media for groups); Atlanta Catheter Therapies; UnoSano (diabetics' information online); Therakine (opthalmic products, Atlanta); Aerial BioPharma (drug development, Morrisville, NC); Hygieia Sciences (Marietta, disease detection). Related Times Free Press story. ► Cumberland Pharmaceuticals' CFO David Lowrance took the CFO slot at biotechie Acucela Inc., in Seattle. 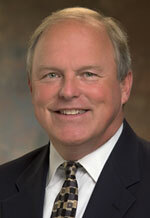 Ahead of Lowrance's departure, Cumberland named Rick Greene VP-finance and accounting. Cumberland reports earnings May 4. Women in finance: Renee Haugerud, patron of the Lauren Templeton-led Women in Finance program at UT-Chattanooga, as reported earlier by VNC, has more to say to the TFP about the importance of women in finance. The City Paper's lengthy piece on the carrying costs of Nashville's megasports centers elicited comments pro and snarky. Retired Vanderbilt Prof. John Siegfried repeats his caveats about such projects. TCP followed-up yesterday with a report on Metro's plans to do a study of the feasibility of a new ballpark for the Sounds. ► Walker Duncan has returned to NashvillePost.com as reporter covering technology, manufacturing and tourism. ► The Tennessee Valley Corridor Summit in Chattanooga, May 15-16, is being led by former congressman Zach Wamp, U.S. Sen. Bob Corker and U.S. Rep. Chuck Fleischmann. The TFP reports. ► A Knoxville couple may have a consumer hit on their hands: Spheerz, patent-applied handheld rollerballs that allow a core workout. The KNS reports. 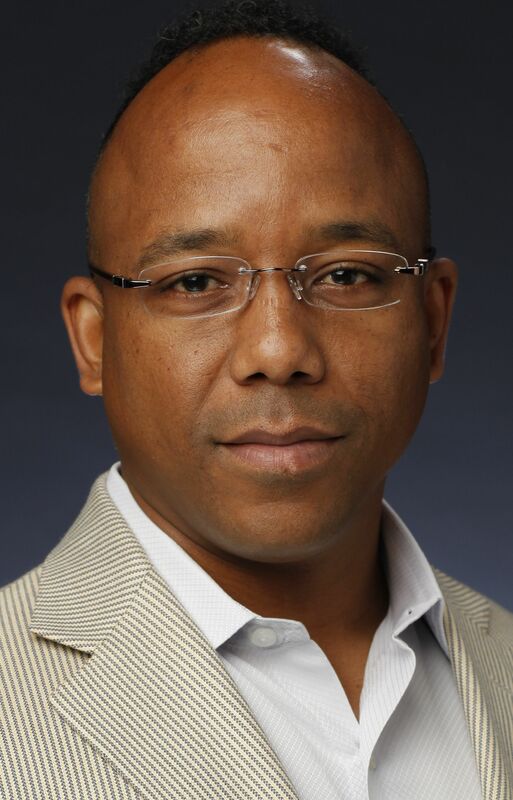 Dream Systems CEO Terriance Moody says the flood that challenged his company may have spurred Nashville business to new heights, says Nashville Business Journal. VNC's earlier report on Dream Systems' origins and healthcare-centric strategy is right here. DigiChart (Brentwood) announced it has the only EHR/PMS software/services package expressly for OB-GYN practices, release here. Biomass energy represents a big opportunity for West Tennessee growers, says CA columnist Andre Fowlkes. Biomass' priority for the Haslam Administration has not been revealed; earlier, VNC reported on Knoxville-based clean energy-oriented Genera and its emerging venture investment funds. ► State pension funds' private-equity investments may strengthen the states' relationship with PE's. VNC reported last week (scroll down) on Blackstone investing $3.5MM in North Carolina to mentor entrepreneurs, through collaboration with that state's entrepreneurs. More recently, the Triangle Business Journal notes Blackstone's work for the state's pension fund. The Tennessee TCRS pension fund has also retained a number of PE's, as reported the past two years by VNC. ► Hudson Alpha Institute in Alabama is expected to add 900 biotech clinical lab workers between now thru 2018. Birmingham BJ article here. ► Memphis investors discuss global pressures associated with convergence of nations' living standards, Memphis Daily News has it.